This frame was painted and distressed. 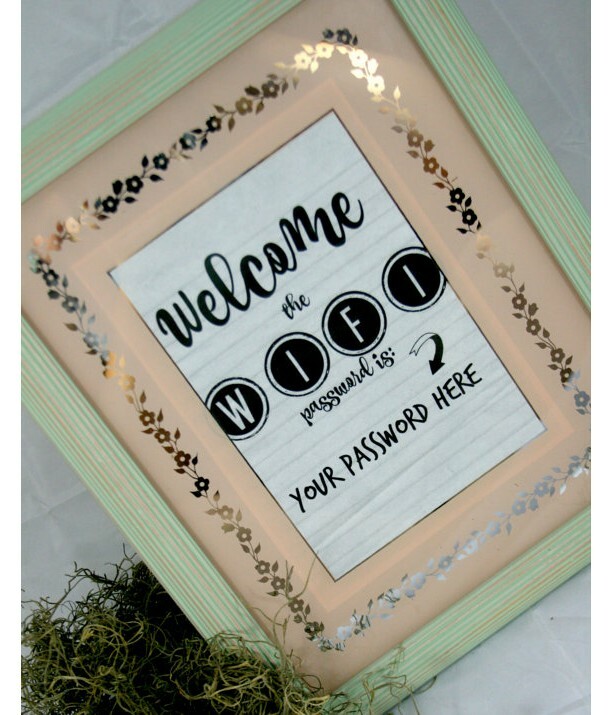 The paint color on top is mint green and the color of the frame underneath is pink. 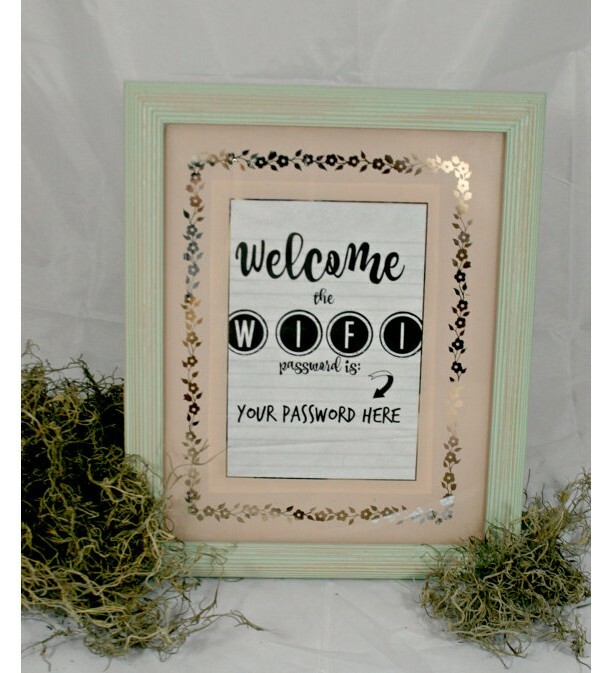 This piece is perfect for a guest room or entry to bluntly give your guests the WiFi password to your home instead of them having to ask. 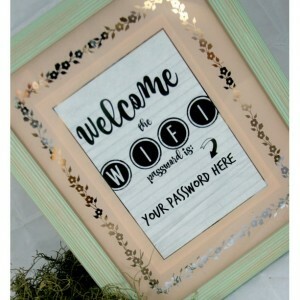 It can hang just like a regular frame, I will input your password and if you would like a different insert just let me know.